Sleeping dog & mermaid farm is located in the cape lazo area of the comox valley on Vancouver island. We specialize in heirloom vegetables, flowers & herbs from seed and design planters for both indoor and outdoor use. 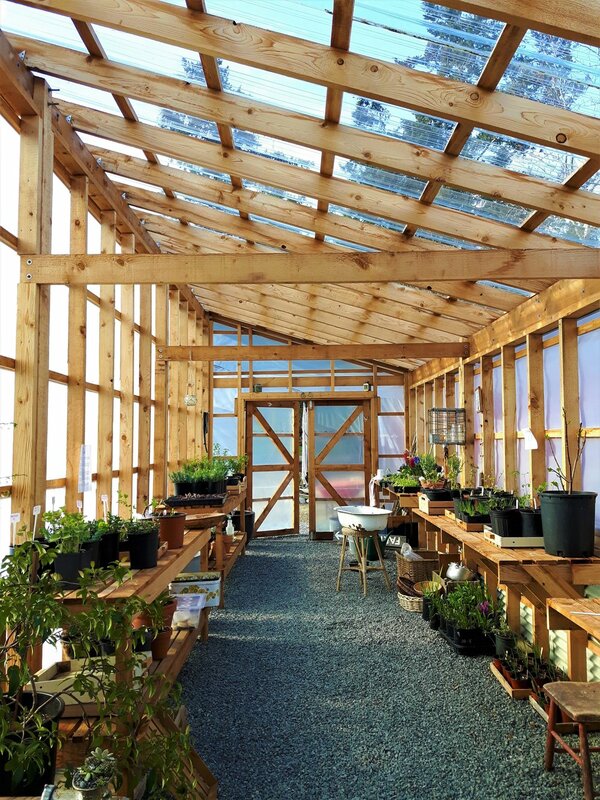 We’ll be opening our greenhouse and shop in the spring! Look for veg & flower starts, unique plants, succulents, planters & more! Back in 2015, Sue, a landscape designer, and Bill, a tugboat captain, moved from too busy Vancouver to Comox to live their dream by the sea and turn their half acre property of sand into a flower and vegetable farmstead. In 2017 they added a greenhouse and a farm stand. 2019 will usher in a new look for the farm as it evolves into a garden and nursery. Sleeping Dog grows mostly heirloom varieties of vegetables, especially tomatoes, and flowers. The selection is kept small so the focus can be on quality rather than quantity, and the seeds are always organic and non-GMO. They’re cared for the old fashioned way with no pesticides or herbicides, and special attention is given to feed the bees. Sleeping Dog makes beeswax lotion bars with organic olive oil, shea butter & locally sourced beeswax. select varieties include essential oils, organic peel &/or sleeping dog grown lavender. Pure and simple, these bars are great for everyone. Sleeping Dog & Mermaid Farm is located at 648 Pine Pit Place in Comox. Keep up to date on public farm events through Facebook or Instagram.